Scientists have long studied the high average lifespans,of the people/s of Hunza (Pakistan) and the Shin-Chan areas (China) the Caucasus (Azerbaijan) and in the Andes Mountains. The commonality is high alkaline pH and an high level of of active hydrogen (hydrogen with an extra electron), with a negative redox potential and a high colloidal mineral content. 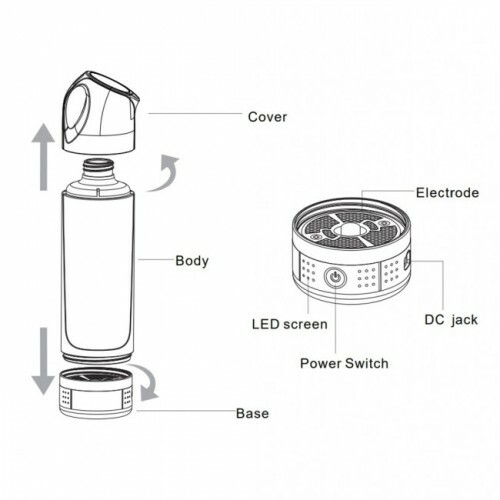 Ancient Purity is proud to present the Hydrogen Water Bottle. 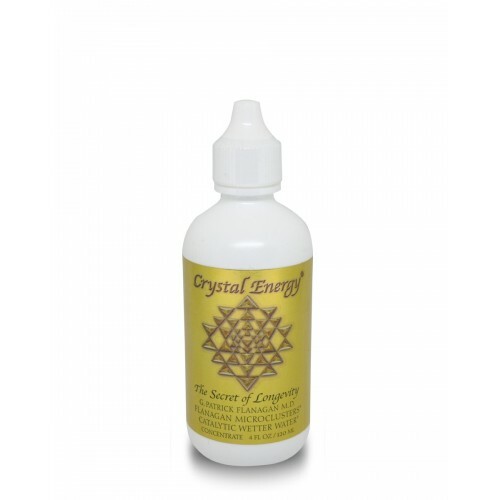 An absolute must in the realm of Longevity, Life Extension and crystaline good health. 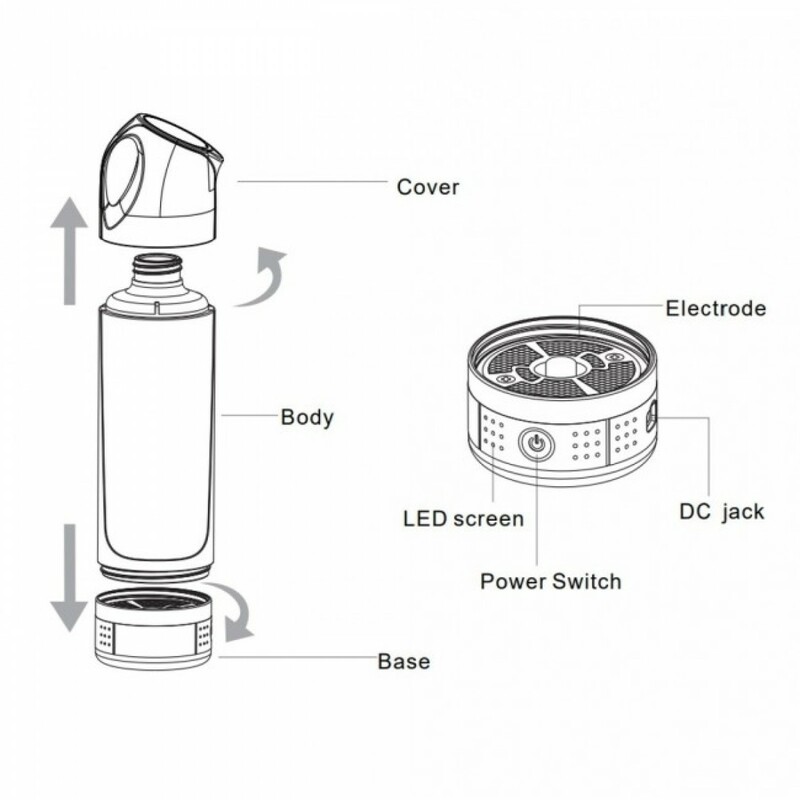 This Hydrogen generating water bottle passes all material extraction testing without creating any byproducts, This is commonly found in inferior hydrogen water products. 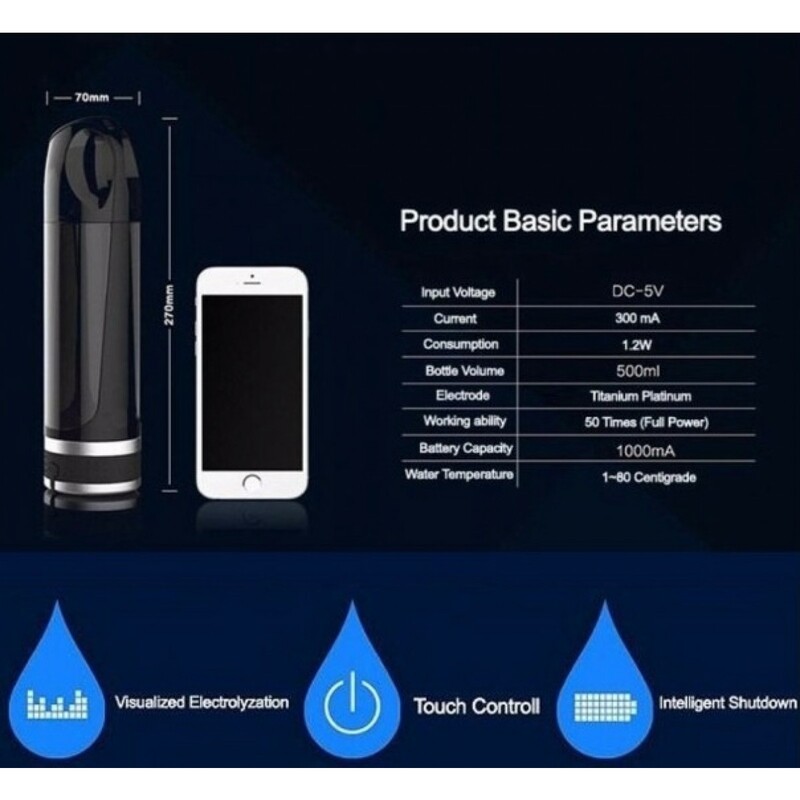 The Hydrogen Water Bottle is not only an incredible health too but simple to use... fill it up to it's 500ml capacity with water, press the button, then in 5 minutes the water is ready to drink. The water changes significantly, the process creates a -300-400mv ORP antioxidant change and introduce around 650-1000+ppb (1ppm) of Hydrogen into the water. 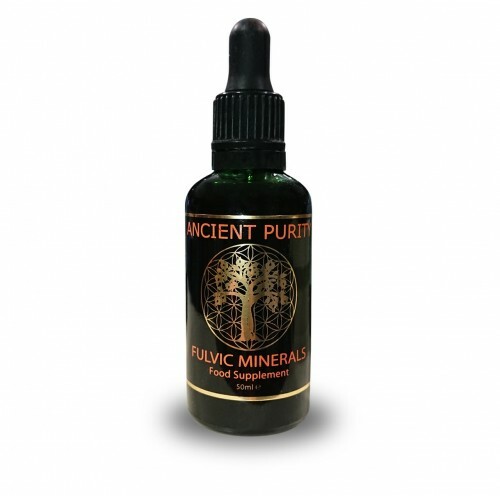 With this bottle you have a very high quality and hi end manufactured health accessory. The bottle meets all required material extraction testing US FDA CFR 21, Bisphenol A (BPA) Free, SGS Test Report Bisphenol A (BPA), US FDA CPG Sec. 545.500 - Leachable Lead. CE Certified. The Hydrogen Water Bottle also comes with a 1 year warranty, conditions apply according to usage observations, the manual provided will give details. An acidic environment can lead to health issues, acidity causes the growth of microorganisms and may also cause lack of oxygen at the cellular level. Hydrogen water can help regulate and maintain the pH of the blood and the entire body which reduces the impact of acidosis on metabolism. Cells that maintain their original pH are able to more efficiently eliminate waste and decrease risk of health issues. 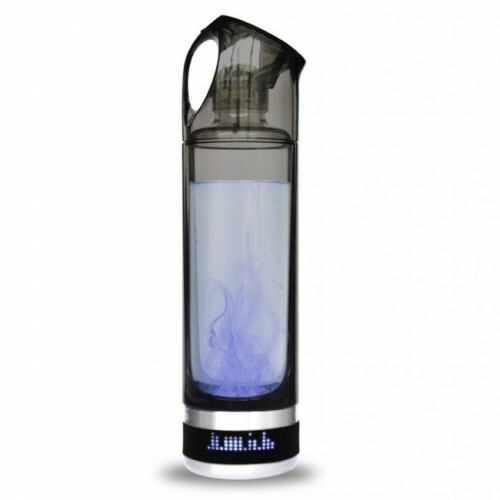 Hydrogen water reduces the damage of oxidative stress, therefore inflammation. Oxidative stress and damage causes faster ageing, and the degradation of our systems that preserve life. Scientific studies suggest that drinking Hydrogen Water can reduce the damage on skin cells, while promoting type I collagen production in the dermis. Hydrogen Water could also improve the appearance of fine lines or wrinkles, ensuring healthy, youthful looking skin. Hydrogen Water supports healthy vision, possibly protecting eyes from macular degeneration. A few studies suggest that Hydrogen Water may even be able to prevent retinal injuries. Hydrogen Water could be effective against inflammatory conditions, especially when used early and preventatively, the water may help reduce or eliminate symptoms such as joint stiffness and swelling. Actions of free radicals and bacteria cause tooth decay, Hydrogen Water may cease oral deterioration, possibly reducing gum inflammation and tissues surrounding oral cavities, this in turn may prevent dental decay and bacterial entry into blood. Muscle Fatigue is usually the result of accumulation of lactate ions, resulting in pain, inflammation and general weakness of the affected muscle groups. Hydrogen water acts as a buffer, reducing the inhibitory action of lactate ions on pain and performance. It also speeds up recovery, so that time spent on the side-lines is minimised. This is one of the primary reasons it is used as a performance improvement aid as well. Our brains use large amounts of oxygen, making it susceptible to the oxidative actions of the generated free radicals. Hydrogen Water can counter the activity of these free radicals that may decrease brain function. Promoting healthy cognitive function over the general expected degrading. Water temperature: 1 - 80℃. Hydrogen Content: Up to or above 1000ppb. Material: PC/AS / Astman Tritan. Fill up with 500ml of water. Water is now ready to drink. Notes: So how far do you want to go with the water you fuel your body with? 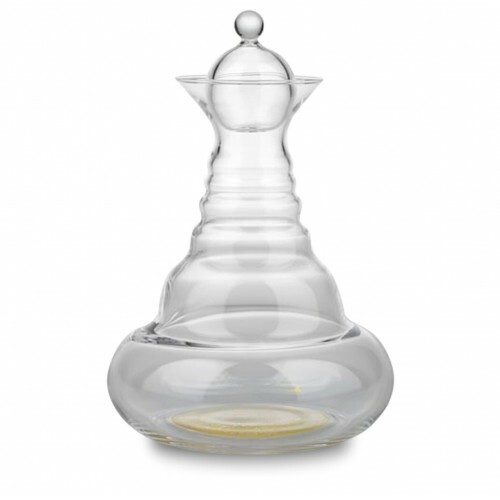 Well you could consider using the Gravity Water Filter first, so your water is clean, you could then decant it into a Sacred Geometry Carafe to "Charge" and structure it. You might be amazed at how you do with this really quite simple routine. 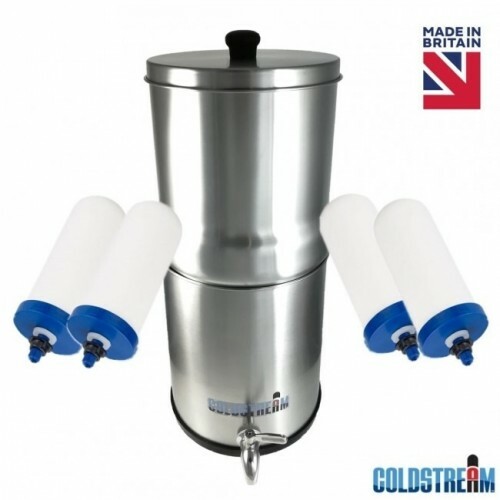 Or you could simple use filtered water to fill up your bottle and still enjoy outstanding benefits. Size: 70 x 270 mm.